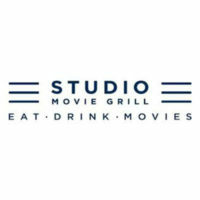 Studio Movie Grill combines a movie theater and a restaurant. Food and drinks, including alcoholic drinks, are served to customers as they watch a movie. The seats in the theater are specially designed for comfort and for eating. Brian Schultz opened the first theater in 1993 in Pennsylvania. The corporate headquarters is in Dallas, Texas. California and Texas have the largest number of movie theaters. The company operates 24 theaters in 10 states. It employs about 6000 employees most of which are part-time. Its annual revenue exceeds $70 million. Part-time employees are usually paid more than minimum wage, and receive perks like discounted food, and free movies. Full-time employees get a corporate benefit package which includes medical insurance, paid vacation and sick days, and a 401k retirement plan. People like working at this company because it encourages its employees to have fun at work. This entertainment business offers employees the chance to watch free movies, and eat discounted food. How old do you have to be to work at Studio Movie Grill? The minimum age to work at the theaters is 16 years old. Sixteen year olds are eligible for most entry level part-time jobs. Kitchen helpers must be 18 years old. Bartenders must be 21. The largest percentage of the workforce is made up of part-time workers. Most of these are entry level. Management makes up the bulk of the full-time employees. The following is a list of some of the most common jobs. Runner: The Runner brings food and drinks to the customers. The Runner gives quick service to the customers waiting for their food while watching their movie. The Runner knows the items on the menu. The Runner makes menu suggestions, and makes sure that the food order is accurately recorded on the customer’s bill. The minimum age to be a Runner is 16 years old. It is a part-time entry level job. Box Office: The Box Office worker sells movie tickets, and takes payments from customers who haven’t purchased their tickets online. The Box Office worker knows what movies are showing and when. The Box Office Worker answers phone calls, and knows the theater’s promotions and discounts. The minimum age to work Box Office is 16 years old. It is a part-time entry level job. Dishwasher: The Dishwasher cleans pots, pans, and all equipment used in the food preparation of the restaurant. The Dishwasher must follow the procedures for the proper sanitation of the equipment. Dishwasher is a part-time entry level job. The minimum age to be a Dishwasher is 18 years old. Cook: The Cook prepares the menu items according to the company recipes, and to the customer’s satisfaction. The Cook must know and follow the rules of safe food handling and preparation. The Cook assists the Kitchen Manager in maintaining the necessary inventory to make menu items in sufficient quantities. The Cook is hired usually on a part-time basis. The job requires some prior restaurant experience. Bartender: The Bartender makes drinks for the customers. The Bartender must know and comply with any legal requirements in the service of drinks containing alcohol. The Bartender must know how to measure, mix, and serve different alcoholic drinks. The job is usually a part-time job, and requires some education or training. Minimum age for a Bartender is 21 years of age. Assistant Kitchen Manager: The Assistant Kitchen Manager helps the Kitchen Manager keep the restaurant operating smoothly. The Assistant Kitchen Manager is responsible for safe food preparation by the other members of the restaurant staff. The Assistant Kitchen Manager makes sure that menu items meet the company’s standards for quality. The Assistant Kitchen Manager helps the Kitchen Manager train restaurant staff. This position is full-time, and requires some prior restaurant experience. Kitchen Manager: The Kitchen Manager is responsible for the operation of the food preparation and service. The Kitchen Manager maintains the inventory of food products, and supplies necessary for the operation of the restaurant. The Kitchen Manager supervises the members of the kitchen staff, and is responsible for everyone’s compliance with safe food handling and sanitation. The Kitchen Manager supervises, and trains the employees working in the kitchen. The Kitchen Manager is a full-time job. Restaurant Manager: The Restaurant Manager assists in the hiring and supervision of restaurant staff. The Restaurant Manager handles the paperwork in the opening and closing of restaurant operations for each shift. The Restaurant Manager is responsible for responding to customer complaints. Restaurant Manager is a full-time job. It generally requires a college degree in business, hospitality or a related area, and several years of experience. General Manager: The General Manager is responsible for the operation of the theater. The General Manager hires and fires associates, and coordinates with other members of the management team. The General Manager is in charge of dealing with outside vendors. The General Manager does marketing and public relations. This job is full-time and requires extensive prior experience in a restaurant or entertainment-related business. Social Media and Content Coordinator: The Social Media and Content Coordinator is responsible for posting news and events of the theater on various social media platforms. This person must have computer skills, and be familiar with data entry on the various social media platforms. This job is part-time. Open jobs are posted on the company’s website. These are listed by job title and location. A job applicant must first create an account in order to access the online job application. The web posting includes a list and link for all the necessary forms. In-person applications are sometimes accepted in conjunction with the opening of a new theater. They are not generally encouraged. The web posting includes a list of forms needed to apply. There is a standard disclosure form, and an online application that requires demographic information, education, experience, and references. The application, also, includes several questions like why the applicant would be a good for the job, what the applicant expects from management, etc. A resume is required for entry level jobs as well as management. The site provides a button to upload the document. The resume can’t be used as a substitute for a completion of the online application. Preparation for the interview should include a thorough understanding of the job requirements listed on the job posting. The potential hire needs to be personable, and enjoy being part of the entertainment industry. Innovation is part of the history and culture of Studio Movie Grill. This entertainment business combines the two experiences of movie-going and dining. The culture is one of fun, but the food is upscale with a nod to customers who appreciate a finer dining experience. The business promotes its brand in the community by partnering with sponsors to support civic causes. The company engages in many charitable events, and is working on a project to set aside a portion of its profits for outreach to alleviate poverty in the south-side of Chicago. The company has a longstanding program of having special free movie days for children with special needs. It, also, gives a portion of its profits to charities that help families with children with special needs. Brian Schultz founded the company with a philosophy of social responsibility. The company continues its charity outreach in its local communities by helping in fundraisers. It raises money for and promotes the work of various charities like Autism Speaks. 1 How old do you have to be to work at Studio Movie Grill?